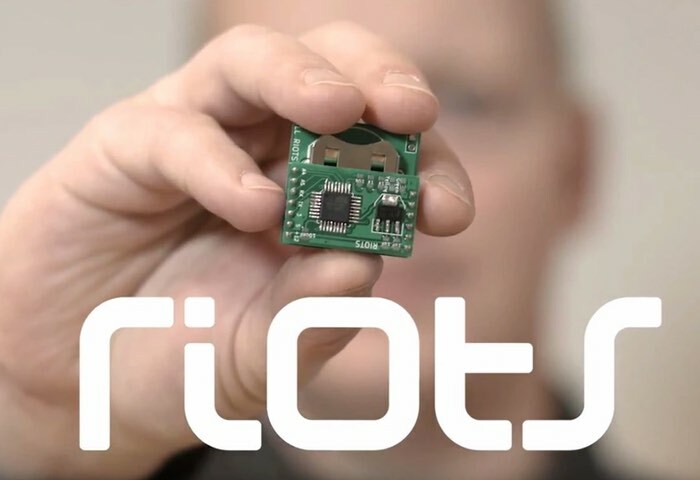 The Riot sensors have been specifically designed to be Arduino compatible and support plug and play connectivity offering affordable hardware that can be used to make a variety of different IoT devices. Watch the video below to learn more about these palm sized controllers and sensors which are taken to Kickstarter to raise the $30,000 they require to make the jump into production. Their developers explain little more about the inspiration behind the range of sensors as well as their features and functionality. It all began when our propellerhead, Samuli, fearlessly went to battle against the jumble of wires connecting and controlling his things. Samuli could not fathom how cumbersome and laborious it was to create a useful device out of a kit or components. Nor why he had to always physically connect a wire to it, in order to program updates. So he decided to roll up his sleeves and tackle these problems. With the advent of the Internet of Things (IoT), the sensing and control of objects and our environment has increased efficiency, improved accuracy and has proved to be economically beneficial. New doors to the IoT revolution opened with smartphones and wearables. Samuli wondered: Is there a way to control and monitor our environment and devices remotely with a cost effective, minimalistic, and practical solution? The Riots family consists of a Mama and numerous Babies. An individual Mama is the gateway to the Internet and has the ability to manage hundreds of uniquely tasked Babies. The function of the Babies is to monitor and control the environment; fully functional prototypes include sensors for air, light, and motion, buttons, DC controllers and USB connectors. Programming and data access are globally accessible through the Riots Cloud or locally through private wireless networks. Additionally, all individual Riots products can be wirelessly reprogrammed for new tasks through the Riots Cloud!